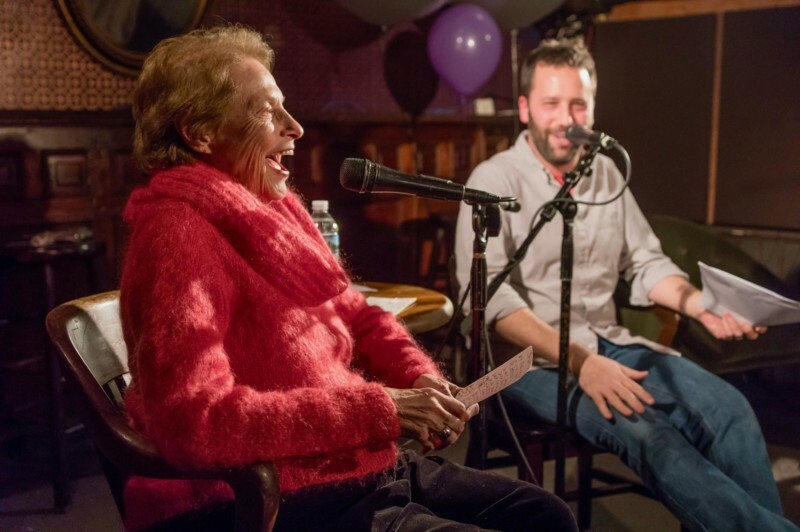 Legendary food critic Mimi Sheraton joins Sporkful podcast host Dan Pashman to offer advice on food and life to live callers, audience members, and celebrity guests, including pastry chef Jacques Torres. Mimi and Dan will discuss relationships and family, current food trends, and their own eating quirks. Plus Mimi shares stories from her time as a trailblazing food writer in New York, and her stint as the first woman named New York Times restaurant critic. Dan Pashman is the James Beard Award-winning creator and host of The Sporkful food podcast at Stitcher and Cooking Channel’s web series You’re Eating It Wrong. He’s also the author of Eat More Better: How to Make Every Bite More Delicious (Simon & Schuster) and a contributor to NPR, Slate, Buzzfeed, and LA’s KCRW. Mimi Sheraton is a journalist, restaurant critic, lecturer, IACP and James Beard Award–winning cookbook author, and the woman about whom famed chef Jean-Georges Vongerichten declared: “Her knowledge knows no bounds, her glossary of flavors is ultimate. Her opinion is like gold.” The former restaurant critic of The New York Times, she’s also written for The New Yorker, Vogue, Vanity Fair, Food & Wine, Smithsonian, and more.